Using mindfulness for PTSD may be a good way of coping. Mindfulness has been around for ages. However, mental health professionals are beginning to recognize that mindfulness can have many benefits for people suffering from difficulties such as anxiety and depression. People with PTSD may sometimes feel as though they have a hard time getting any distance from unpleasant thoughts and memories. They may feel preoccupied with and distracted by these thoughts. As a result, many people with PTSD find that they have a hard time focusing their attention on what matters most in their life, such as relationships with family and friends or other activities that they used to enjoy. Mindfulness may help people get back in touch with the present moment, as well as reduce the extent with which they feel controlled by unpleasant thoughts and memories. As is the case with many "therapies" such as mindfulness, research has only begun to explore the benefits for people with anxiety disorders such as post-traumatic stress syndrome. That said, the research done thus far implies that there is a significant benefit of these practices. Mindfulness has been shown to be an effective stress reduction practices in general, but there may be other ways it works for people with PTSD as well. Recent research suggests that mindfulness may help to mitigate the relationship between maladaptive thinking and posttraumatic distress. One skill of mindfulness is learning how to focus your attention on one thing at a time. This includes being aware of and able to recognize all the things that are going on around you (for example, sights and sounds), as well as all the things that are going on inside you (for example, thoughts and feelings). This skill is focused on looking at your experiences in a nonjudgmental way. That is, simply looking at things in an objective way as opposed to labeling them as either "good" or "bad." An important part of this skill is self-compassion. Part of mindfulness is being in touch with the present moment as opposed to being caught up in thoughts about the past (also called rumination) or the future (or worry). An aspect of this skill is being an active participant in experiences instead of just "going through the motions" or "being stuck on auto-pilot." This skill of mindfulness focuses on being open to new possibilities. It also refers to observing or looking at things as they truly are, as opposed to what we think they are or evaluate them to be. For example, going into a situation with a preconceived notion of how things will turn out can color your experience. This can prevent you from getting in touch with the true experience. So often in our lives, we are stuck in our heads, caught up in the anxiety and worries of daily life. This exercise will introduce you to mindfulness and may be helpful getting you "out of your head" and in touch with the present moment. Find a comfortable position either lying on your back or sitting. If you are sitting down, make sure that you keep your back straight and release the tension in your shoulders. Let them drop. Focus your attention on your breathing. Simply pay attention to what it feels like in your body to slowly breathe in and out. Now bring your attention to your belly. Feel your belly rise and expand every time you breathe in. Feel your belly fall every time you breathe out. Continue to focus your attention on the full experience of breathing. Immerse yourself completely in this experience. Imagine you are "riding the waves" of your own breathing. Anytime that you notice your mind has wandered away from your breath (it likely will and this is completely normal! ), simply notice what it was that took your attention away and then gently bring your attention back to the present moment - your breathing. Continue as long as you would like! Before you try this exercise, it may be useful to first simply practice breathing. This may sound silly, but many people don't breathe properly, which can fuel stress and anxiety. Make this a habit. Practice this exercise at least once a day. At first, it may be important to practice this exercise at times when you are not overly stressed-out or anxious. When you were first learning to drive a car, you likely didn't start out on the highway during a thunderstorm. The same goes for mindfulness. Remember, it is normal for your mind to wander during this exercise. That's what it does. Don't get discouraged. Instead, at times like this, it may be useful to think of mindfulness in this way: If your mind wanders away from the breath a thousand times, mindfulness is about bringing your attention back to the present moment a thousand and one times. As you go about your day, try to find as many opportunities as you can to practice mindfulness. The more you practice, the easier it will become to bring mindful awareness to your life experiences, which in the end may also help you cope with your PTSD symptoms. Finally, you may think of technology as being the opposite of something conducive to mindfulness. Yet for those who love being connected, you may find that there are a number of ways to center yourself with mindfulness technology. The sky is truly the limit, and unlike so many "treatments" for anxious feelings, practicing mindfulness is usually without side effects and best of all, free. Banks, K., Newman, E., and J. Saleem. An Overview of the Research on Mindfulness-Based Interventions for Treating Symptoms of Posttraumatic Stress Disorder: A Systematic Review. Journal of Clinical Psychology. 2015. 71(10):935-6. Khusid, M., and M. Vythilingam. 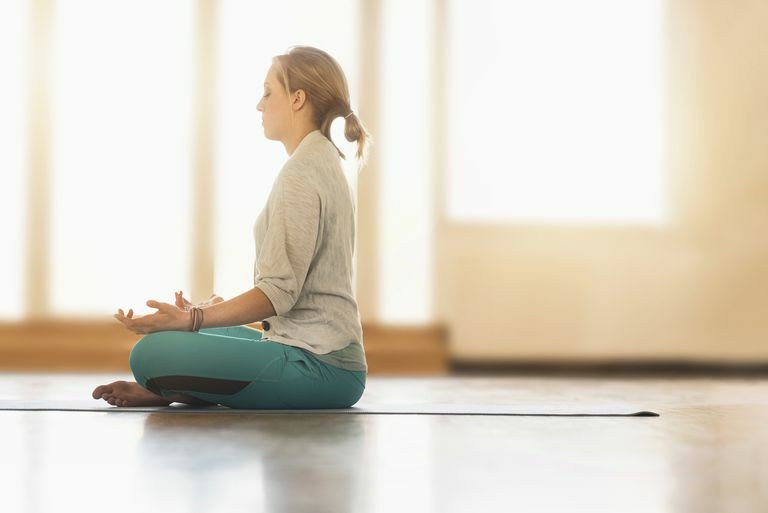 The Emerging Role of Mindfulness Meditation as Effective Self-Management Strategy, Part 1: Clinical Implications for Depression, Post-Traumatic Stress Disorder, and Anxiety. Military Medicine. 2016. 181(9):961-8. Roemer, L., & Orsillo, S. M. (2008). Mindfulness- and acceptance-based behavioral therapies in practice. New York, NY: Guilford. Shipherd, J., and K. Salters-Pedneault. Do Acceptance and Mindfulness Moderate the Relationship Between Maladaptive Beliefs and Posttraumatic Distress?. Psychological Trauma. 2017 Jan 9. (Epub ahead of print).